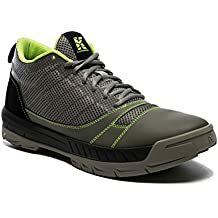 Georgine Saves » Blog Archive » Good Deal: Kujo Yardwear Lightweight Breathable Yard Work Shoe $84.99 + Ships FREE! TODAY ONLY! Good Deal: Kujo Yardwear Lightweight Breathable Yard Work Shoe $84.99 + Ships FREE! TODAY ONLY! #ad Today only, 10-18-18, the Kujo Yard Shoe is $84.99 and ships FREE from Amazon.com. This is the only shoe specifically designed for the yard. For men or women, it’s a lightweight and comfortable alternative to heavy work boots. The unique toe-cap is easily cleaned, keeps feet dry, and repels grass. The aggressive rubber grip performs great on wet, grassy slopes. There are several colors to choose from.